The unbelievable is happening! The dead are returning to life and attacking the living! You and your team mates have fought your way to the woods and found shelter in an abandoned hunting cabin. While the dead claw hungrily at the walls, you search the cabin for useful items and weapons to defend yourselves. 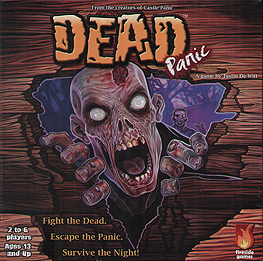 Can you work together to fight the zombies while collecting radio pieces to call for rescue? Fail to protect a team mate, and that team mate may become a zombie and turn on you next!